"Little Sleepy" greets park visitors at the campground office. weekend of my birthday would be a perfect time to indulge my wish. Michigan has tons of great campgrounds so the big decision was where to go. We decided to car camp rather than backpacking so it came down to familiar campground or new adventure? In the midst of a web search unrelated to camping, Sleepy Hollow State Park appeared (funny how that happens, huh?). I liked that there were modern campsites (ie, bathrooms/showers), more than 11 miles of hiking trails, a lake and it was less than two hours from home. And it was a new location, thus a new adventure for both of us (ie, Justin and me). Sleepy Hollow State Park is located outside of East Lansing, just off US-127 near St. Johns and Laingsburg. It sits on 2,600 acres, has 11 miles of hiking/biking trails and 6.5 miles of horse trails. Lake Ovid is in the center of the park and has a nice beach area, plus picnic shelters for park visitors. The lake is non-motorized so perfect kayaking and canoeing. We saw a guy getting ready to snorkel from the beach! There is also a 18-hole disc golf course. I think it is very cool that Sleepy Hollow State Park is a “Green Park Initiative” meaning there are recycling bins at the entrance to the campgrounds….so no throwing away plastics, cardboard, etc. Kudos to Michigan’s DNR. I was impressed with the campgrounds. There are 181 campsites separated onto North campground and South campground. 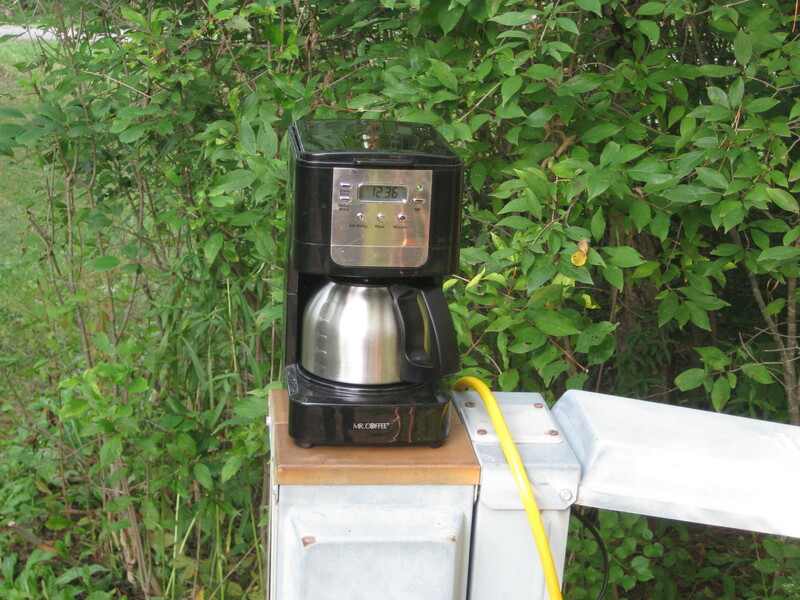 Each campground has a modern bathroom building and 14 water stations scattered throughout the campsites. The bathrooms were relatively nice (for a campground bathroom); most importantly, clean and well-maintained. In fact the rangers told us they clean twice daily. My only complaint is that there wasn’t paper towel nor a dryer in the bathroom. It was a little annoying to shake your hands semi-dry every time you visited the bathroom. There were plenty of showers (decent size), although we both showered at off-peak (ie, afternoon/evening) hours so that probably helped with hot water and availability. people are focusing on fall, school and not traveling. Whatever it was, it was wonderful for us. There were families throughout the campground but the only time we really noticed was Sunday when the 3-year old at the site next to us started whining incessantly for about an hour. Then they left and peace resumed. Otherwise the weekend was quiet and peaceful. Evidence of Mother Nature’s good mood was the awesome weather. It briefly rained Friday night while we were sleeping but we woke to bright sunlight and blue skies. We set off on a hike to explore the park. 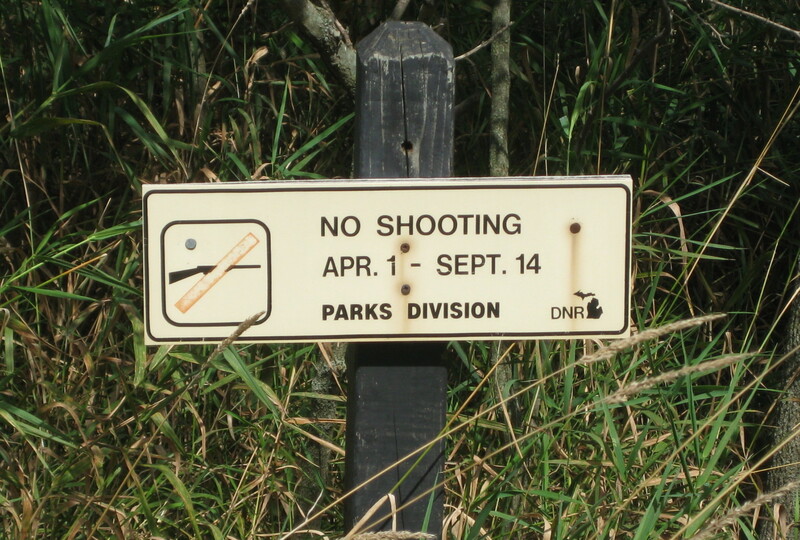 The trails are well-maintained and have good markers. You definitely need bug spray and sunscreen. We hiked through woods, fields and along the lake. Surprisingly, we had the trails to ourselves most of the time; which was very nice to enjoy nature, birds and our conversations. It always strikes me the really good conversations you can have on the trails, sometimes serious and in-depth, other times random thoughts about sports and when that particular branch might have fallen over in the woods. settle in for a campfire, drinks and of course s’mores! We were treated every night to a bright, full moon that made you pause in your step to admire it from afar. There is something special about being “away in nature.” You actually hear birds, feel the breeze, sense a greater world surrounding you. Several times I would look up at the stars or bright moon, or sit quietly by the tent, Justin beside me, and feel so grateful for life and my time with him. Our lives are much too busy and filled with responsibilities away from each other that these few days together were a precious gift to me. We laughed, talked about small and big subjects, listened, held hands, were goofy and focused on our time together. The next day was a repeat of Saturday with breakfast, hikes, lunch and relaxing. We noted the number of campers compared to tents. We certainly saw the value in such a vehicle as we woke with stiff backs and knees from sleeping on pads and bags. However, I was surprised, and admittedly a little disappointed and annoyed at the number of satellite dishes and televisions that populated the campground. Really? You can’t get away from television for one day, miss one football game so you can spend time with your family and enjoy the world around you? S'mores are a must when camping! We spent a lot of time exploring the campground and state park property. 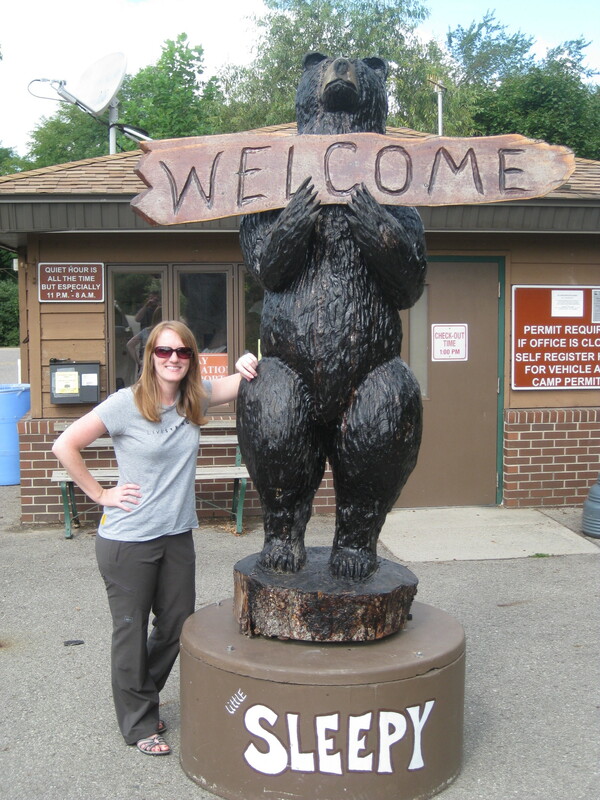 I was impressed and liked the campground enough that I would definitely return. In fact, we’re already thinking of a fun outing next summer with family and friends. There is just something about sitting in the great outdoors that makes you appreciate a little bit more what God gave us and life in general.